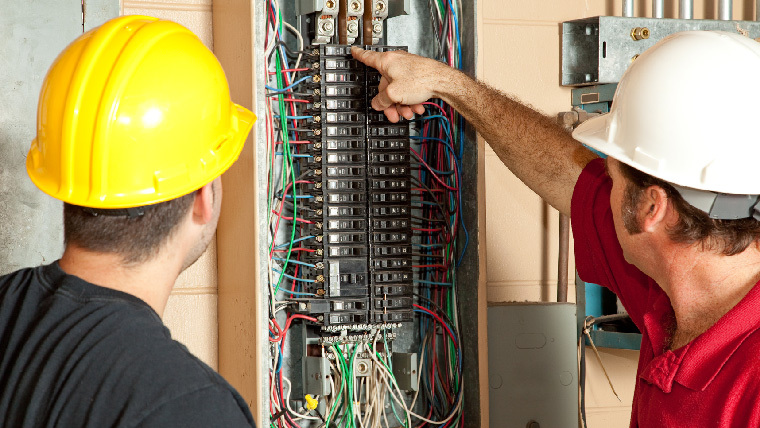 At the very heart of your electrical system is your electrical panel (or fuse box if you still have one). And just like your body has trouble functioning if you have heart problems, your electrical system suffers with an electrical panel issue. Trust the experienced electricians at Hobaica to make sure your home stays safe and usable with a quality upgrade. Signs of Malfunction – Your breakers should trip whenever your electrical system becomes overloaded. If the tripping is constant or you smell burning or hear buzzing from your panel, you need immediate attention to the issue. Signs of corrosion/rust are another sign to look out for. Your Current Panel is Over 25 Years Old – Especially if your panel is exhibiting other concerning signs, you should get an older panel checked out and replaced. You Still Have a Fuse Box – All fuse boxes are now outdated and pose electrical safety risks. Additionally, they are not equipped to power modern-day appliances.You Have a Defective Brand – These panels pose significant safety risks to those who have them: Federal Pacific Electric, Zinsco and Pushmatic. They are currently obsolete but may exist in older homes.